Guestware announced that InterContinental Malta in St. George’s Bay implemented Guestware to personalize the guest experience and simplify staff response to requests. Guestware is an integrated Guest Experience (GX) software solution used by hospitality companies around the world to deliver exceptional guest satisfaction. 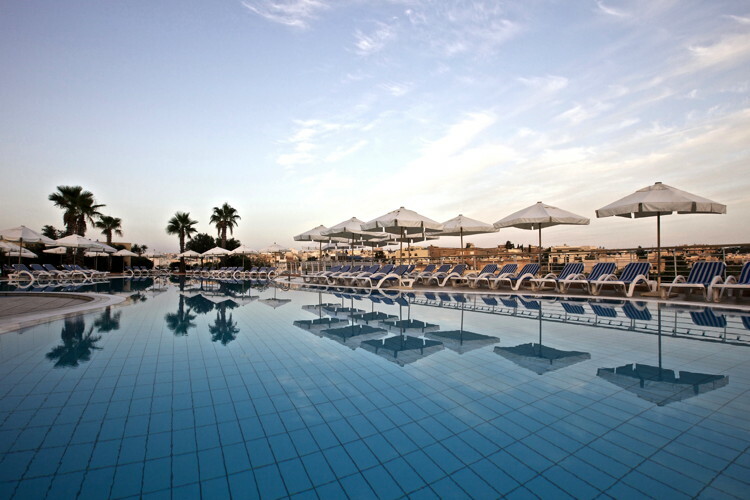 InterContinental Malta is an exclusive 481 room and suite beachside resort. Click here for more information on how to streamline operations and personalize guest service with Guestware. Benjamin noted that InterContinental Malta tapped Guestware’s on-site implementation package over the company’s on-line training. Guestware Advisor Colby Durham provided on-site implementation supervision for the hotel’s management and staff. Durham created an individualized training program for users that optimized the system for hotel operations and delivered personalized guest service. Mr. Durham has over 20 years of experience helping hotels implement software focused on streamlining operations and improving service. “On-site training gives hotel teams the hands on experience needed to use Guestware most effectively,” Durham said. “I teach industry best practices that I’ve learned visiting hundreds of sites for many years. “I was impressed with how quickly InterContinental Malta’s team learned to use Guestware. After implementation Guestware’s success manager continuously reviews and optimizes client management processes to ensure users achieve maximum system benefits that deliver the highest guest satisfaction. Customer success has been Guestware’s top priority for more than 20 years. Guestware is a cloud-based solution for hotels and resorts to optimize guest service and maintenance processes. Guestware enables staff to improve guest service ratings while providing leadership with data to know that guests are happy, staff are productive, and the facility is well maintained. The company has been focused on elevating the guest experience in the hospitality industry for over 20 years. Today, the Seattle-based company is doing business with select and full service hotels and resorts in over 70 countries. For more information about Guestware, go to guestware.com or call 888-50-GUEST. If you are a member of GuestWare you may be interested in learning how to optimize your content on our network.